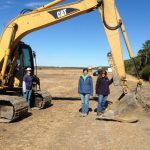 On Feb. 17, the North Carolina Coastal Federation broke ground on a salt marsh restoration project in Williston Creek, located at the 6,000-acre North River Wetlands Preserve in Otway. 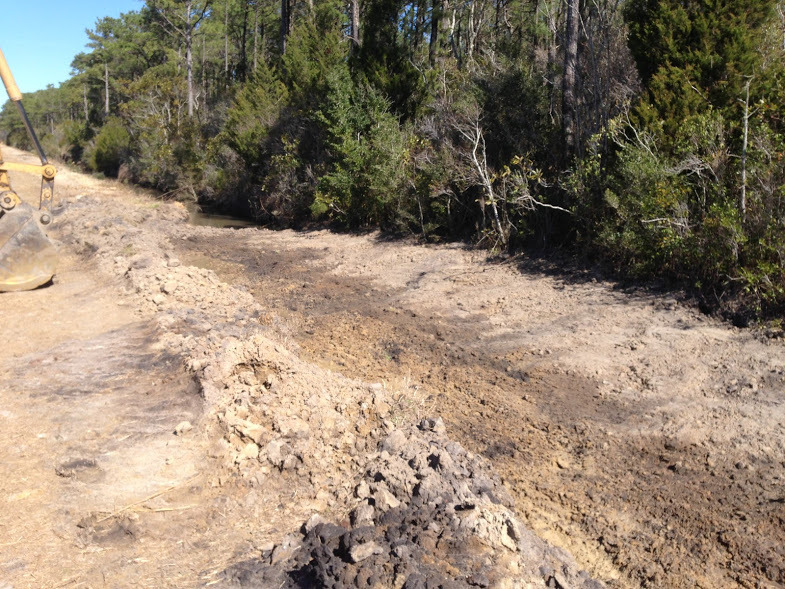 The project will restore and create approximately 8.8 acres of salt marsh and 3,500 linear feet of tidal creek. 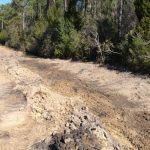 “This new salt marsh at the headwaters of Williston Creek will help to improve its water quality and provide good fisheries habitat,” said Bree Tillett, coastal specialist for the federation. This project is funded by a $91,430 grant from the National Fish and Wildlife Foundation (Bring Back the Natives) and with private funds that have been raised by the federation. The total price of the project will be approximately $279,000. 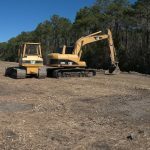 North River Wetlands Preserve, formerly known as North River Farms or Smyrna Farms, is a 6,000-acre property located in Carteret County that the federation has been working to restore back to wetlands since 1999. 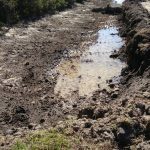 Returning the farmland back to its original state will improve the water quality of downstream estuaries, open up shellfishing waters and filter polluted stormwater from a nearby farm. This phase of the project was designed by Kris Bass Engineering and is being constructed by Robert Willis of Carteret Land Development, LLC. For more information about the Williston Creek salt marsh restoration project, please contact Bree Tillett at 252-393-8185. 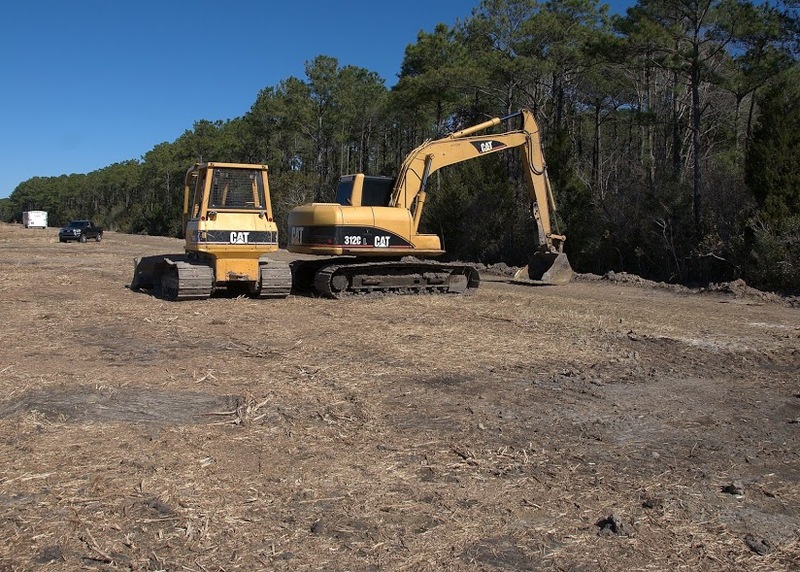 The salt marsh is being constructed by Robert Willis of Carteret Land Development, LLC. 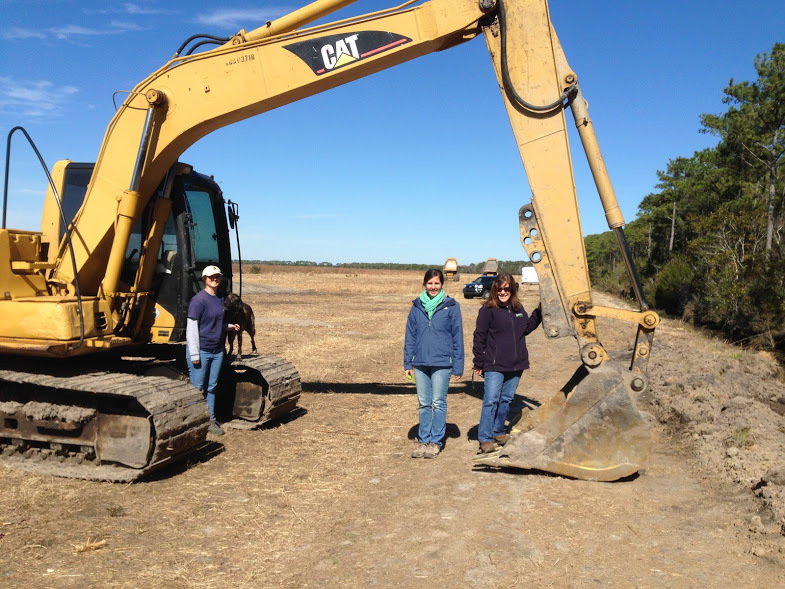 This project will restore and create 8.8 acres of salt marsh. Right to left: Bree Tillett, coastal specialist; Rachel Bisesi, coastal education coordinator; and Lexia Weaver, coastal scientist. 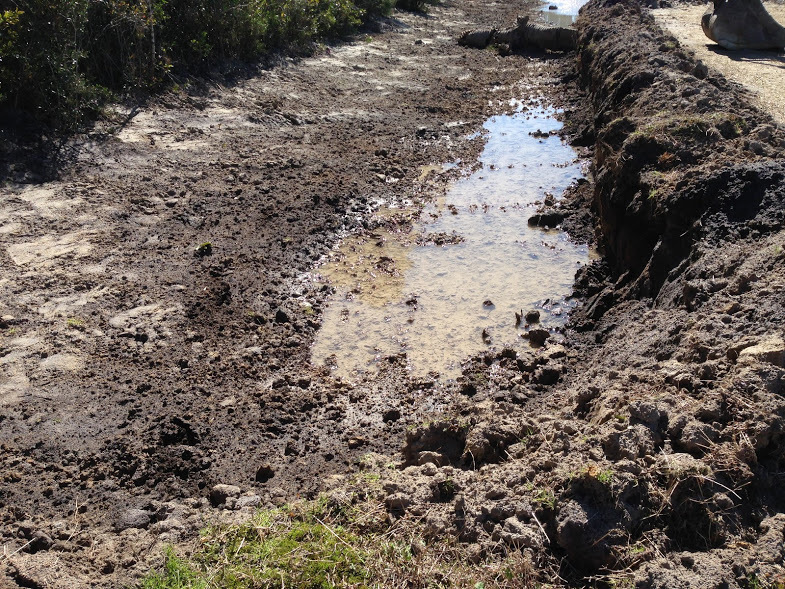 Once completed, this salt marsh will improve downstream water quality and provide fisheries habitat.